Large white frilly collar with red lace. Red lace in front with gold buttons. 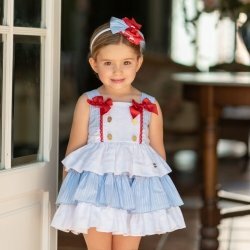 This baby girls dress set is from the Spring Summer Dolce Petit Baby Girls Collection.